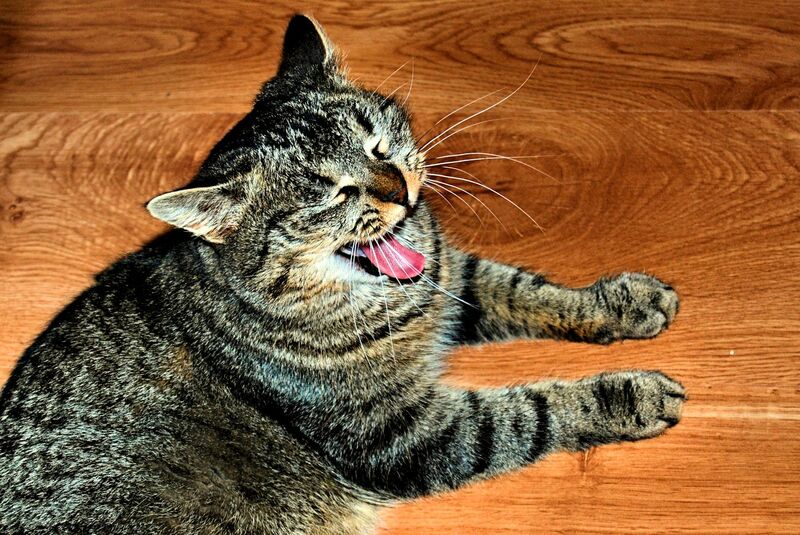 My cat is laughing at my joke. Alternately, she’s just yawning. I know, right. Thanks and cheers! And I’m laughing at this! It’s a fantastic and well timed photo. I don’t have such luck when trying to photograph mine. Cats are particularly difficult to shoot, and I got this lucky shot by accident, along with hundreds of less good photos… I stalk my cat on the regular in order to get some usable shots! Very funny. What did you do to her? hah she is trapped by the shooter! Bahaha! Love it. Definitely cracking up at your joke!! Thank you! At least someone laughs at my jokes! I’m counting on your full support. Ok, I admit it. My cat sometimes scares me to death… Shh! Don’t tell please! Laughing at your dismay. They’re evil like that. Have you seen the exploding kittens card game? Lol. What? Exploding kittens game? That sounds bloody!! lol! if you mean bloody awesome then yeah most likely! created by none other than, THE Oatmeal. and now they’ve come to help us waste even more time! I know! It’s awful responsibility!